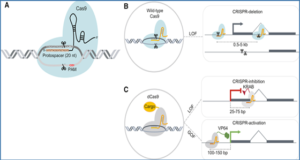 CRISPR-Cas9 technology can be used to engineer precise genomic deletions with pairs of single guide RNAs (sgRNAs). This approach has been widely adopted for diverse applications, from disease modelling of individual loci, to parallelized loss-of-function screens of thousands of regulatory elements. 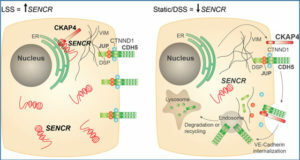 However, no solution has been presented for the unique bioinformatic design requirements of CRISPR deletion. 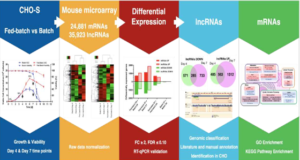 Researchers from the Centre for Genomic Regulation and the University of Bern present CRISPETa, a pipeline for flexible and scalable paired sgRNA design based on an empirical scoring model. Multiple sgRNA pairs are returned for each target, and any number of targets can be analyzed in parallel, making CRISPETa equally useful for focussed or high-throughput studies. Fast run-times are achieved using a pre-computed off-target database. sgRNA pair designs are output in a convenient format for visualisation and oligonucleotide ordering. 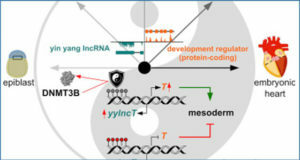 The researchers present pre-designed, high-coverage library designs for entire classes of protein-coding and non-coding elements in human, mouse, zebrafish, Drosophila melanogaster and Caenorhabditis elegans. 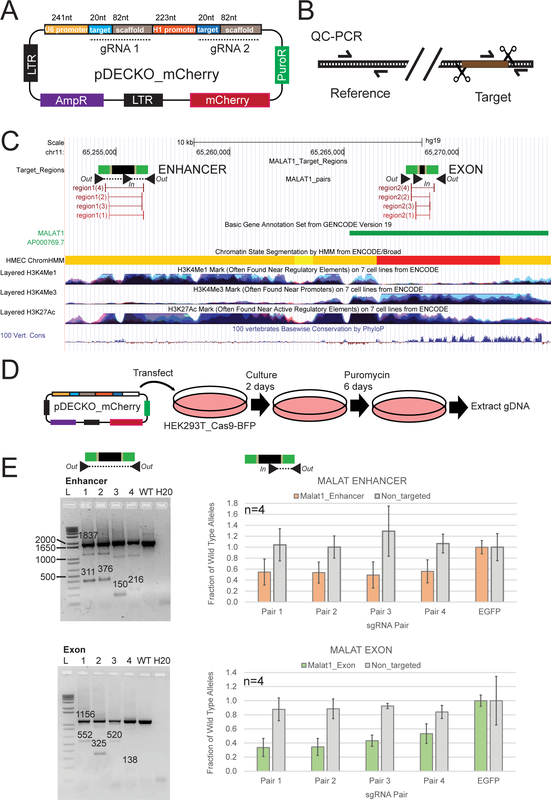 In human cells, they reproducibly observe deletion efficiencies of ≥50% for CRISPETa designs targeting an enhancer and exonic fragment of the MALAT1 oncogene. In the latter case, deletion results in production of desired, truncated RNA. CRISPETa will be useful for researchers seeking to harness CRISPR for targeted genomic deletion, in a variety of model organisms, from single-target to high-throughput scales. (A) Structure of the pDECKO_mCherry vector. Note that the blue “target” regions contain protospacer sequences, and must be cloned as appropriate for each target region, while the grey “scaffold” regions are constant for all experiments. Note the presence of mCherry and puromycin selection markers. pDECKO_mCherry is compatible with lentivirus production or transfection. (B) Outline of the QC-PCR method for assessing deletion efficiency. Concentration of unmutated, wild-type target sites (using “In” and “Out” primers) is normalised to the reference amplicon, to control for template gDNA concentration. (C) The human MALAT1 locus. The MALAT1 lncRNA gene, shown in green, lies on the positive strand. The two selected target regions are shown: the conserved upstream enhancer-like region (note the overlap with H3K4Me1 and H3K28Ac modifications), and the exonic region. As before, target regions are shown in black, and sgRNA design regions in green. sgRNA pairs are represented by red bars, and genotyping primers as black arrowheads. (D) Overview of the experimental scheme. (E) Results for Enhancer region (upper panel) and Exon region (lower panel). Left: Agarose gel showing conventional genotyping results from bulk (unsorted) cells, with primers flanking the deleted region (primers out-out). 1–4 designate sgRNA pairs. “WT” indicates control cells transfected with pDECKO_mCherry targeting the EGFP sequence. Numbers on the gel refer to the expected size for the PCR amplicons. Right: QC-PCR results from four independent biological replicates (primers in-out). Y-axis shows the normalised fraction of unmutated, wild-type alleles, using primers amplifying the targeted region (orange/green), or a distal, non-targeted region (grey). 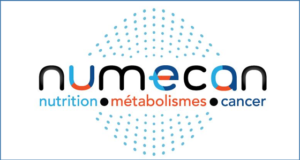 Data were normalised to control cells transfected with pDECKO targeting EGFP. Error bars denote the standard deviation of four independent biological replicates. 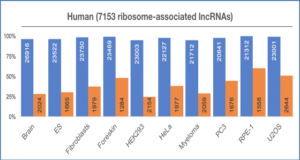 The differences between treated cells and control cells were statistically significant for all four sgRNA pairs, for both target regions (P<0.01, paired t test). Availability – CRISPETa is available at http://crispeta.crg.eu.